In the modern world the toilet has become a major architectural element in many houses as the need for the most luxury and technology. Professional plumbers and designers asked to create luxurious toilets and bathroom spaces for their clients. 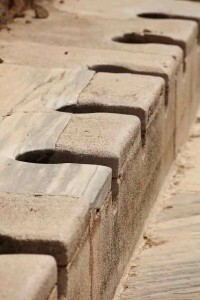 The toilet has evolved from a simple hole in the walls of a castle into the modern flush toilet that takes many different forms around the world. The toilet was once simply a hole in the ground until medieval times in Europe when people moved into large castles for protection and a solution needed to be found to get rid of the waste produced by the inhabitants of the castle. The stepped garderobe was the solution an ingenious plumber came up with, which was basically a chute between the castle walls where the waste was dropped. A number of options were also introduced to try and stop the bad smells and reinforce the walls, which included a twisted design that stopped invaders attacking the defenses and bad smells rising through the castle. Sometimes the man credited with inventing the toilet is named as John or Thomas Crapper. 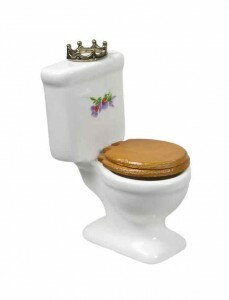 However, it is now believed Crapper was a professional plumber enlisted by Sir John Harrington to help create and install the first toilet for England’s Queen Elizabeth I.
Crapper is credited with the decision to allow a small amount of water to return to the toilet bowl and reduce the risks and problems of waste returning to the toilet from the sewer. The first known plumber in the world was already making improvements to the system created by Harrington. The modern toilet is a sophisticated piece of equipment that should be cared for as well as any other form of technology. A plumber can make sure a modern low level flush toilet is installed correctly and has the power to move waste through the system successfully. Modern toilets are designed to be installed by a professional plumber who has the skills to install a toilet successfully to give a toilet its longest possible lifespan. Modern systems are also created to be easily repaired by a plumber who can install broken parts with ease to provide a toilet that should last for many years and lower utility bills with less water use. If you live in the Waterloo area, and are having toilet troubles, Call Dalton Plumbing, Heating, & Cooling at (319) 266-3513 and find out how you can get your toilet back! Some plumbing myths have become so prevalent over the years that many people now genuinely believe them. Plumbers are often called out to deal with problems that are caused by these myths, and if you are fooled into thinking they are real, they could cause you no end of problems, both financially and in terms of hassle. So what are the most Popular Plumbing Myths Debunked? There are now countless books to read and online videos to watch, all providing tips for DIY plumbing. 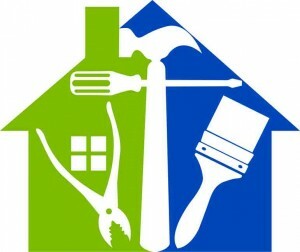 Although many of these can be useful when it comes to fixing minor issues and, especially, preventing some problems from occurring, it is also responsible in part for the growing belief that plumbing is easy. In short, it’s not. Tradespeople require years of training and special qualifications to carry out work on people’s pipes and fittings, and thinking that you can learn everything from a five-minute video is misguided. Plumbers sometimes find when they are called out to deal with a problem it can be that the owner has tried to have a go and ended up causing more problems as a result. Most people have some notion of the idea that some things can cause bathroom and kitchen sinks to become blocked. However, many people still assume that if items of food, hair, and other such matter are small enough to go down the sink, they cannot cause any problems. In fact, most blockages are caused by exactly such things. The ideal is to only allow water to go down the sink. Obviously that is not always practical, but the effort should be made to prevent as many solids from going down the plughole as possible–and that includes oil. Although hiring a qualified tradesperson is not always cheap, you have to put the cost into perspective. 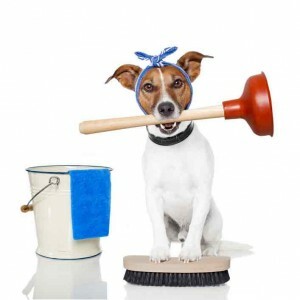 Plumbers who are called out to local households perform an invaluable job, and they are always well worth the money. For example, if you have a leaking pipe and you put off calling a tradesman, the damage can be catastrophic and can end up costing many times more than if you had just hired a one to start with. Or, if you decide to do some DIY but you really don’t know what you are doing, the damage can again be incredibly expensive. So it always pays to put these issues into perspective, and even if it does cost you money, the chances are that you are making a good financial decision. Myths such as the ones above are so prevalent that many people end up causing themselves no end of problems by believing them. Plumbers can be a very worthwhile investment when something goes wrong, so steer clear of these myths and save yourself money and hassle. Don’t let the myths get to you in your Waterloo home. Call Dalton Plumbing, Heating & Cooling at (319) 266-3513 today, and overcome these plumbing myths! Many excellent brands of plumbing fixtures exist today. 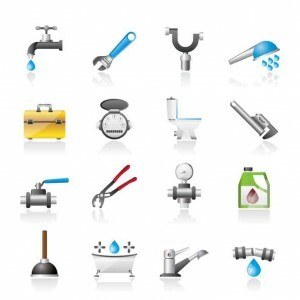 A plumbing company may offer recommendations about several of these items, based upon a number of different selection criteria. How long will the fixture typically remain in good condition? Does the fixture reflect high-quality craftsmanship? Are parts metal or plastic? What is the quality of the fine finishing detail? Is the price range reasonable? In some situations, a fixture proves suitable for a home, yet exceeds the price a property owner considers affordable at the time. For example, durable brass faucets typically cost considerably more than plastic ones utilizing metal cladding. A high quality brass faucet will likely last considerably longer than one using metal-coated surfaces. Additionally, the overall quality of various fine finishing details may vary, based in part on price ranges. Bearing in mind that ultimately, a property owner makes the decision about purchasing particular fixtures, here are some of the top ten brands many plumbers recommend. Waterworks: This respected manufacturer of high grade metal faucets also accepts customized individual orders. One company with a great product line including high grade faucets and shower heads and pull-out faucets is Rohl: rohlhome.com. The firm began manufacturing in 1983. Hansgrohe: A firm founded in 1901. American Standard: Manufactures toilets, bathtubs, faucets and other fixtures. Moen: High quality faucets, sinks, shower accessories. Plumbers today recommend many other excellent brands also. If you’re in need of plumbing fixtures in your Waterloo home, these are recommended the best! Call Dalton Plumbing, Heating, & Cooling at (319) 266-3513 for installation.